Lexus owners in Boonville and Columbia trust the auto mechanics at Midwest Autoworx. Not only is our team is highly-skilled and trained, but we also offer above and beyond customer service. We provide gourmet coffee and free WiFi in our clean and comfortable waiting area. If you have a busy day, we welcome you to use our free shuttle service and loaner cars. James Copeland, the owner of Midwest Autoworx, invests in cutting-edge tools and diagnostic systems. When they service your Lexus, our auto mechanics will have access to top-of-the-line equipment. Because we stand behind our work, we offer a 3-year/36,000-mile warranty on parts and labor. “I needed my oil changed. There was an advertisement in the Ad Sheet for a $20 oil change at Midwest Autoworx. The poor college student was sold. Called and made an appointment for the next day at 2:00 p.m. I was out by 2:30. What really impressed me about Midwest Autoworx was the service. Not only were the mechanics really nice, but they also didn't even try to sell me anything besides the premium oil! This was a nice change from Jiffy Lube, who would always try and get me to buy a new air filter or antifreeze or whatever. The mechanic servicing my car even recommended a friend of his to do some paint work for my car. Who would go to WalMart or Jiffy Lube when you could go to a local place like this? Next time you need an oil change, or any car work done, I'd definitely recommend Midwest Autoworx.” – Robert P.
For Lexus services, call Midwest Autoworx or schedule an appointment online. We’re located at 2001 Rangeline Street in Columbia, MO 65202 and 1300 W. Ashley Road in Boonville, MO 65233. 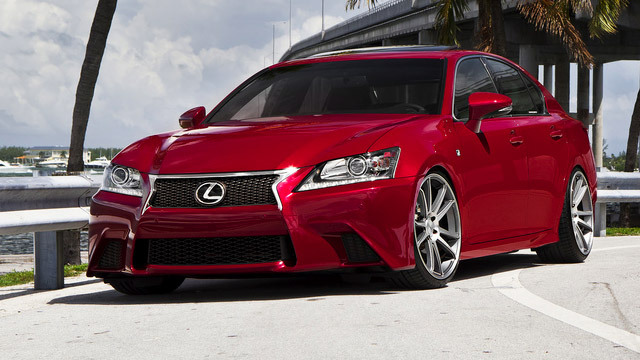 Our professional and qualified auto mechanics will provide you with the most quality Lexus repair in the region. We look forward to your visit!